Running got me to start this blog and today marks my one two three four five six seven months of blogging!!! I am enjoying it so far. I am having fun sharing my everyday journey to the world and reading all your comments and emails. 🙂 It gives me so much happiness when I meet people who loves the sport too. I am asked what is it about running that I love so much. I am never really able to give an answer right away. 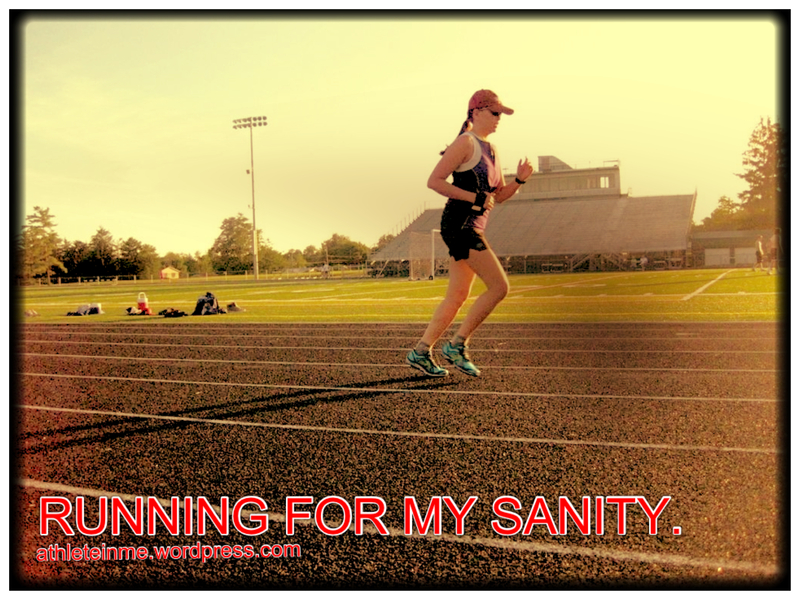 I run for my sanity. 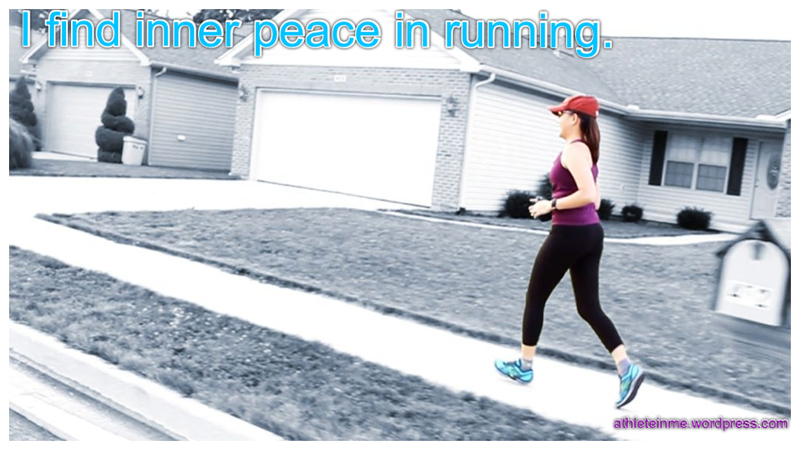 I find inner peace in running. You can talk to yourself and figure out your thoughts. It is when I do some of my best thinking…. really! Sometimes I would find myself narrating in my mind the process of Glycolysis and Krebs Cycle when I’m running. 🙂 Seriously! I remember the day that hooked me to running. I know I talked about it a little in my About me page the reason why I started. It was because I was packing it on…the pounds that is. I started to feel the urge to become active and healthy. I signed up for 5Ks and eventually for a half marathon last May. The pounds started to drop off slowly, and then I started feeling good about myself. I feel lighter, healthier and more alert everyday. 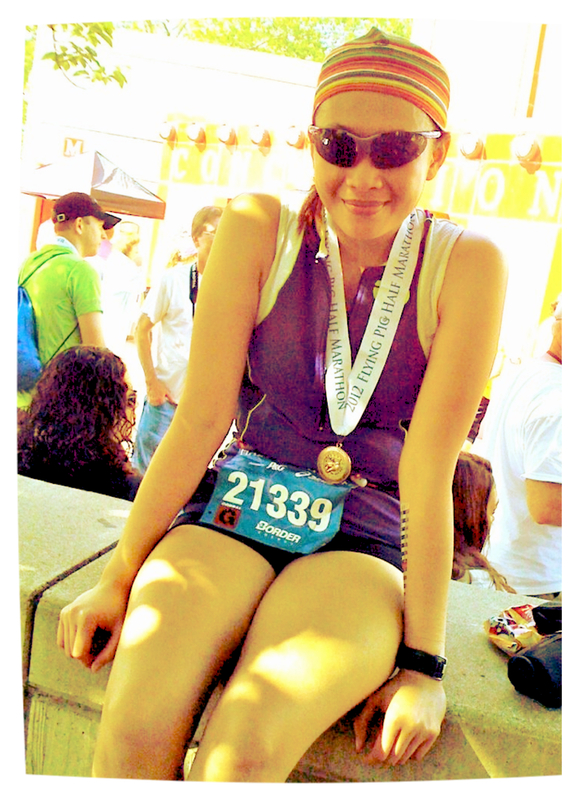 Once I realized running was my ticket to weight loss, and then maintaining it, there was no turning back. My passion for running grew so quickly that I continued to train to improve myself. I know I lost only a small amount of weight and you might think this is just nothing compared to other people’s 100+ pound weight loss success stories. But like most of them, losing weight was never easy for me. I certainly had ups and downs too during the process. This may not please everyone, but I am not here to please everyone. At first it was just about losing the extra weight, which is a good thing, but then NOW, it is actually becoming strong and healthy. I am sharing this to give you the motivation that anyone can start doing this. You don’t have to wait until the scale says a certain number and become overweight before you start living healthy. Yes, I have a lot more to learn, I do admit. I strive to learn as much as I possibly can each day. Running introduced me to do other workouts, like kickboxing and pilates which became my favorite now. I learned that it is important to incorporate other exercises to your training plans to workout other muscle groups of your body. Lastly, running makes me feel good.There is not a run that I “regret” doing. It’s not always easy and it’s not always enjoyable especially when it’s 100+ degrees outside. But, I have never returned home from a run sad. I love this running quote. There you go, now it’s your turn! I’d love to hear your thoughts on what you love most about running? This entry was posted in All About Running, My Everyday Journey and tagged athlete, blog, Brooks Running, half marathon, i love running, life, run, runhappy, runner, running, running blog, running quotes, sport, summer, workout on August 11, 2012 by Ja @Ja on the RUN.